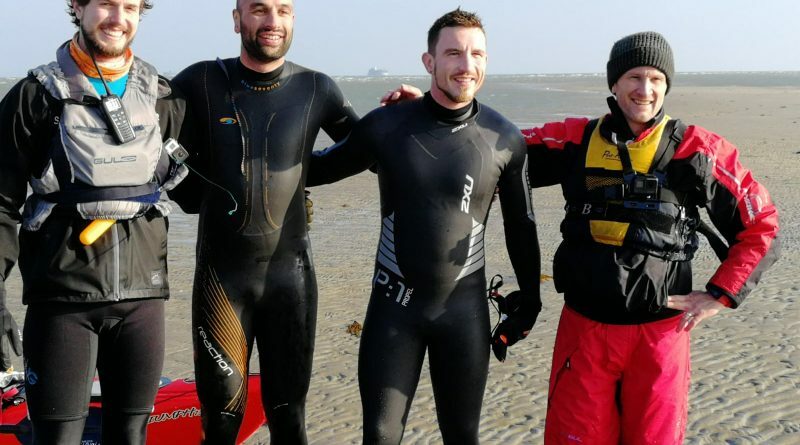 Myself and my friend, Jeff Leigh-Jones, decided during a chat in the pub 6 weeks ago that it would be a good idea to swim across the Solent in November. With Jeff expertly organising a couple of kayaks to accompany us, as well as the famous Lively Lady yacht to act as safety boat, before I knew it, we were ready to go! 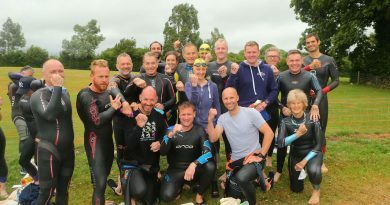 On the morning, the wind was a bit on the high side, but water temperatures seemed reasonable at 13 degrees (bearing in mind we were kitted out with wetsuits and every other warm clothing aid! ), so we set off from Gosport at 10am. 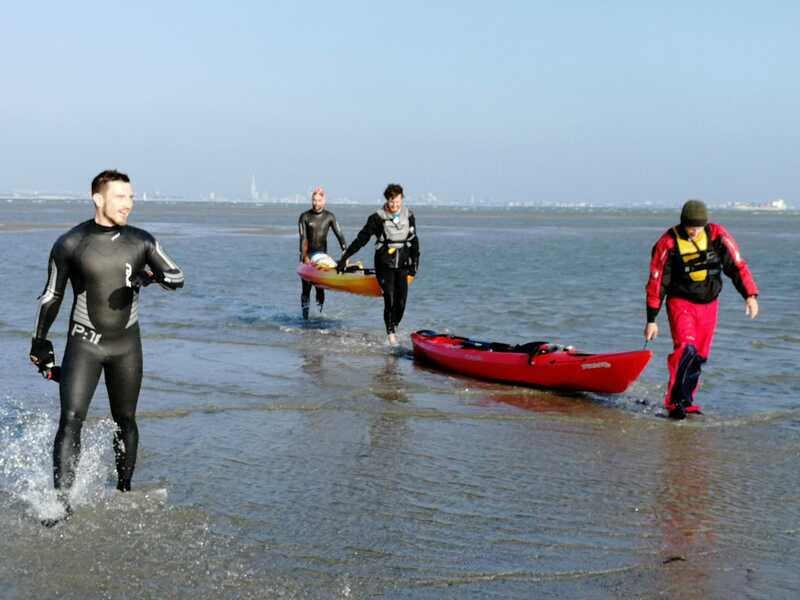 We were knocked around a bit in the waves at the beginning, but eventually settled into a rhythm, following the kayaks who were directing us to Ryde and dodging the crossing ferries for us! We reached the mid way marker in good time, before closing in on Ryde. With the tide going out, the second half was harder (or maybe I was getting tired…), but it did mean we were able to walk about 100m from the shore, where our families greeted us with warm clothes, brownies and whiskey! Jeff and I completed the 4km swim in 1hr 30min, which we were both pleased about. Overall a great day out, and I would recommend it to anyone who gets a chance to do it! “This week’s run was something a little different. 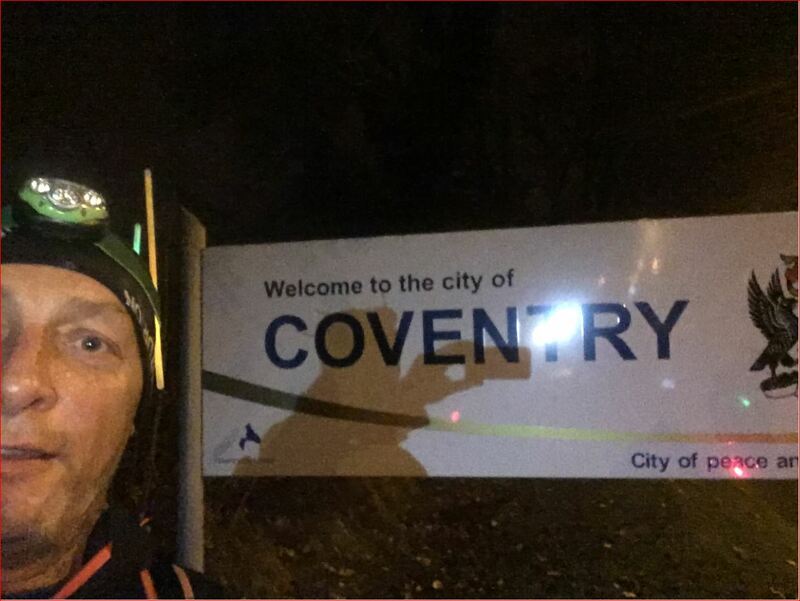 Escape from Meriden starts next to the Monument that symbolises the centre of the UK just North West of Coventry”. “The day started on Friday Morning after a few days prep printing routes and maps with a train Journey to Coventry. Being a David Lloyd member has great advantages – one being there is usually one of these fantastic clubs in most large cities and the Cov one was located about 1 ½ miles from the station. With limited equipment I made my way there for a sauna, Jacuzzi and some dinner before heading back to the station to meet my friends. 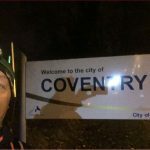 We taxi’d to Meriden and had soon registered and started to realise what we had let ourselves in for”. 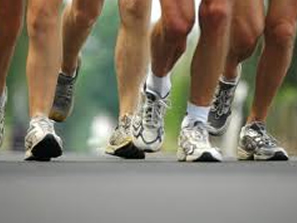 “After a mile or so we were down to about 6 or 8 running along the roads towards Northampton. In the build up it didn’t occur to me that most of this race was to be along the side of A roads and the first part was in dark, drizzle as well. Also there are not many places open for supplies, there were no aid stations to top up drinks or take snacks. We found a garage open at 1.45am but had no idea this would be the last place for refreshments for 6 hours so didn’t really stock up. The next problem was the footpath stopping half way along the A45. The next 4 miles were spent jumping on and off the road every time we saw headlights in the distance – which were mostly articulated lorries at that time of morning. The Grass verge was soaking and this is where my blisters started due to wet socks and insoles moving. We saw the golden arches in the distance and the thought of a nice coffee would lift us but it wasn’t a 24hour café “. 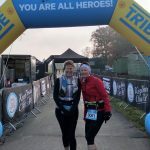 “I headed off to Box Hill in Surrey to take part in the Tough Ten which was literally the hardest 10k race I’ve ever done ever!!!! 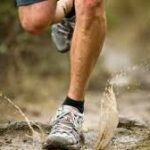 It was a trail race through stunning countryside with over 384 meters of climbs. The first kilometre felt good at 4.11 and then came the steps. The next two kilometres we had to climb up the steep steps over 142 meters elevation then head back down only then to have to climb another 111 meters over uneven ground covered in leaves making this a very difficult tricky technical course with added toughness. I took a tumble on a hidden rock 2k from the end which cost me a place or two but happy to finish with a smile on my face in 16th Place out of a field of around 380 in a time of 53 minutes. 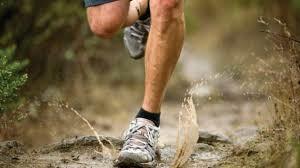 Testing it was, as it transpired the half distance course was not only undulating but covered 15 miles. 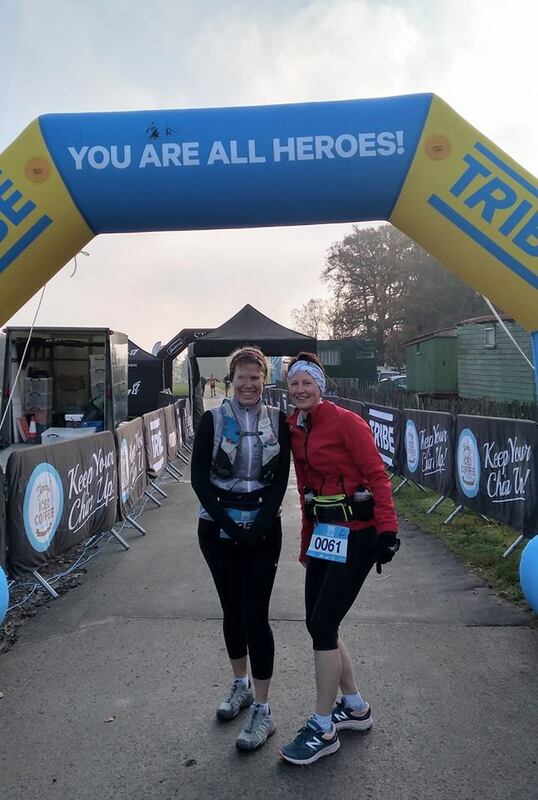 Well done to Elle & Rachel. 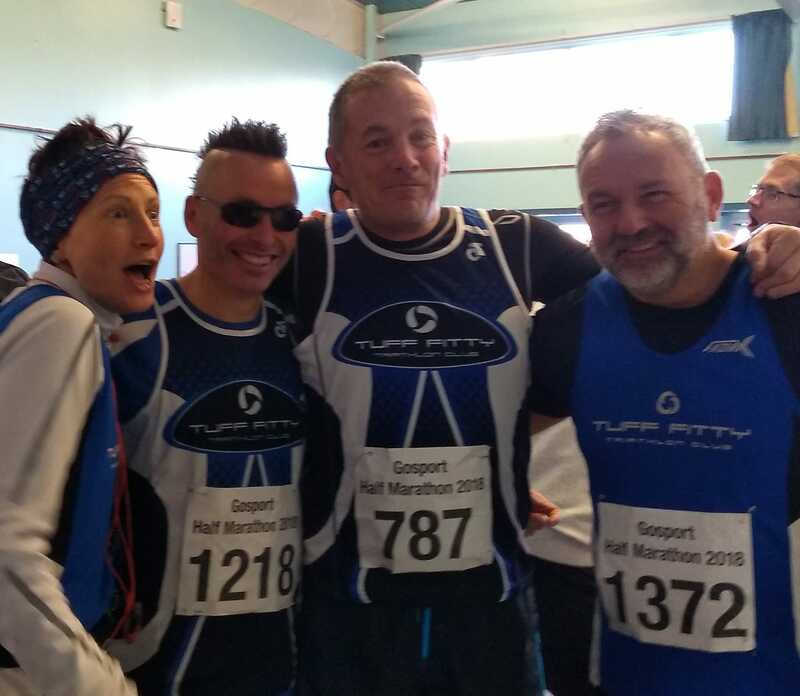 It had seemed like a good idea from Rachel Brunning; Let’s do Gosport half marathon on this much nicer route, and it would be another notch on her quest to complete 50 Half’s. 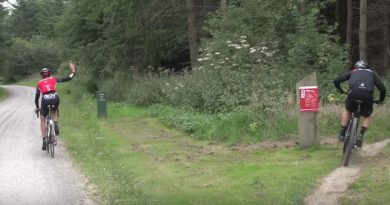 However after the very tough Maverick event the day before (see above) she text Glenn to say don’t bother picking her up, she would see how she felt and drive herself. In true Tuff motivational style the answer from Glenn was – No; we are picking you up just after 7, so be there! And that was how four Tuff’s came to be on the start line – Rachel, Glenn Parisi, Tim McGrath & Clive Harvey. 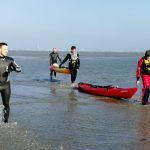 As the course is an out and back route along Gosport seafront it was a relief to have dry sunny conditions although it was very nippy until the sun came out. 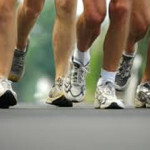 With almost 1,700 finishers it was quite crowded to start but soon spread out. Clive noted there was some confusion on the water station with a person missing his space causing a collision as he doubled back. Clive got through without difficulty and he felt it was worth recalling some advice Coach Kev gave him decades before. As you approach a marshal holding the cup of water, make eye contact and point at them, this works well creating a seamless transfer. Of course it adds to the process if you say ‘yes please’ but it does work -if you haven’t tried the technique yourself. Tim was first Tuff home, followed by Glenn and Clive. ….And Rachel..? Having pointed out she was press ganged into the event, she was very pleased, running all the way in a good time and grudgingly admitted to Glenn she was pleased to have been pressured to enter. Rachel also brought mince pies which went down a treat and that was half 36 & 37 for her in one weekend – well done Rachel. Unfortunately injuries prevented some Tuff participation but the one club member running, Henry Teague-Smith is really getting back on form crossing the line is just 35:54 – superb running along the seafront course. 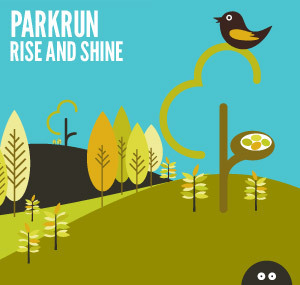 At Bognor Park Run, Ian Bayley took part running around Hotham Park in 23:18. 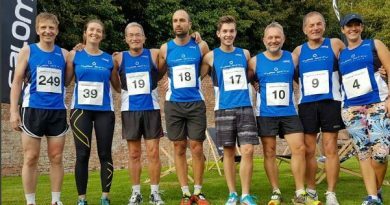 At Worthing Park Run James Oram was first club member home in 20:04 with further good running from Paul Martin and Amanda de Ridder who clocked up her 75th Park Run. 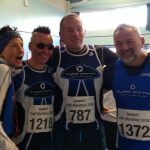 Daisy Bashford completed the Worthing Tuff quartet. 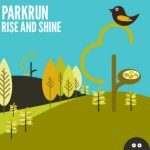 Lancing Green Park run saw Elaine Rousseau take part.